We are sorry but Dominic is not due to perform for a while. 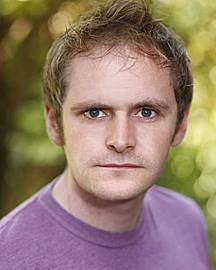 Dominic started comedy young and wide eyed back in 2001, with over 12 years experience on the UK circuit he's a safe pair of hands. He's cheeky, charming, full of energy and hilarious. Now married with a mortgage, Dominic weaves side-splitting stories about his life and tells belly aching jokes that hit the mark with all audiences. There�s a naughty twinkle in his eyes but his act is warm, personal and inoffensive. Dominic is always in demand as an act and compere. He regularly performs in comedy clubs all over the UK and abroad. He�s also great for sportsman�s dinners and corporate functions and can adapt his act to any audience and he can be squeaky clean if needed.